Just Create: Get Some Great Comic Book Fonts at a Discount. Get Some Great Comic Book Fonts at a Discount. 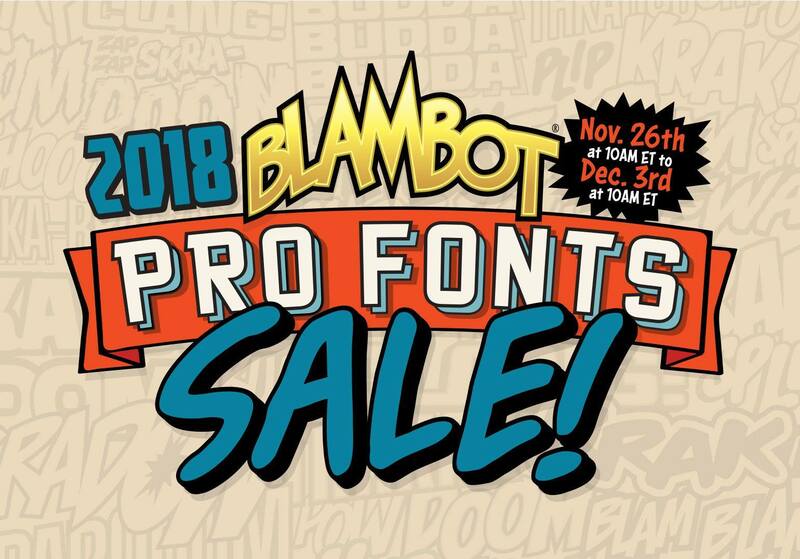 Get 30% off Blambot pro comic book fonts during the week of Cyber Monday! 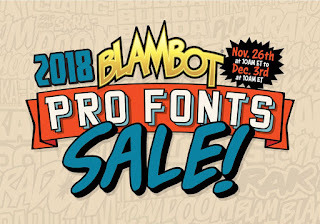 The only Blambot sale of the year! Starts Nov 26, 2018 at 10 AM ET. Ends Dec 3, 2018 at 10 AM ET. You can support this blog when you purchase a book or product by clicking the link below, I get a piece of the action and helps me to continue doing this blog. Support an artist today. It's Black Friday. Get Art Software.